Last Saturday at Roots and Roofs we made lots of progress in Weinland Park. We highlighted the housing developments in the area, as well picked up litter and we worked on various gardening projects, including work at Godman Guild and at taking down the 6th Street Community Garden to move the materials to 4th Street Farms. 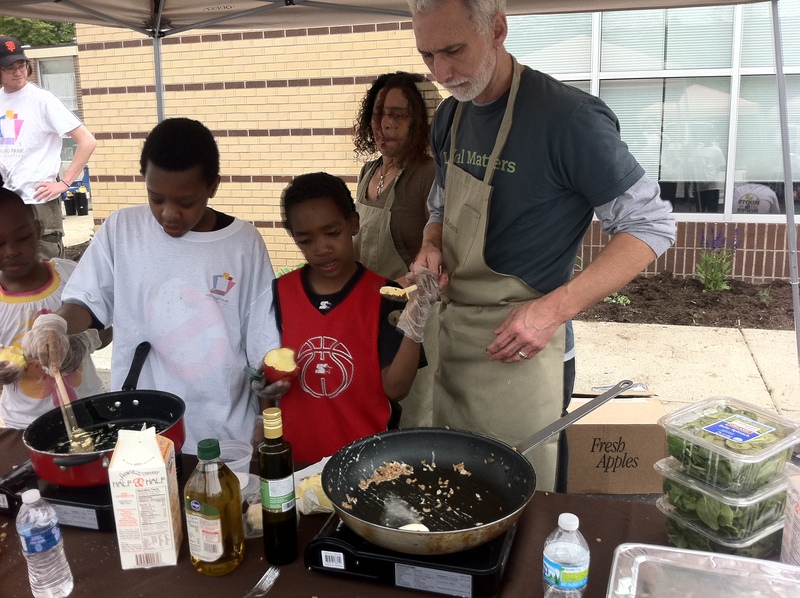 Here Local Matters cooks with up and coming chefs in Weinland Park. Breaking bread together is truly transformational and builds community. Lovely to see people coming together around food. 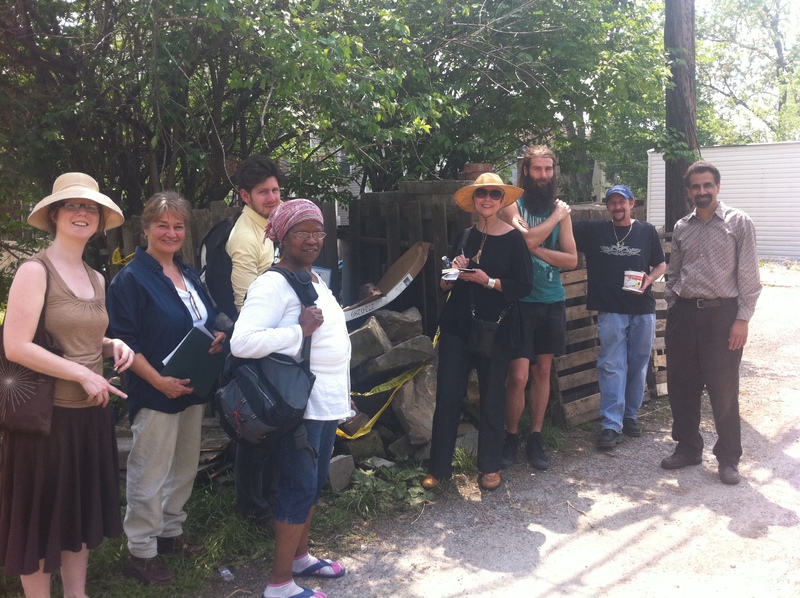 Today, a group came together to walk around Weinland Park identifying potential places for food production. 4th Street Farms made the top of the list for further soil testing and remediation from Parwinder’s Group. Here we are checking out the over 3 tons of building material moved last Saturday during Roots and Roofs! Genuine thanks go out to everyone involved in Roots and Roofs: whether you picked up litter, moved pavers, marveled over worms in the compost, put out housing information, or feed people, it takes a village. It’s inspiring to see the village coming together to rock this place out!